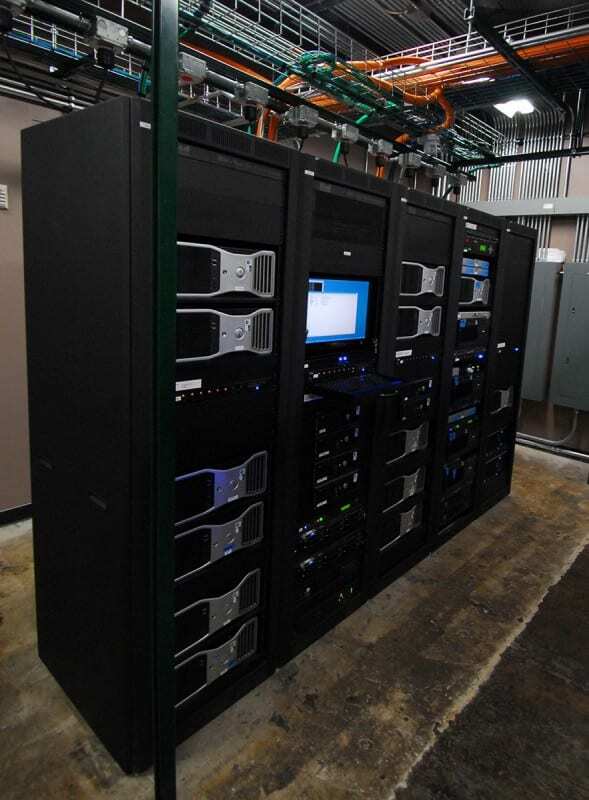 As an AV provider, we are regularly asked about non-proprietary systems. Is it just another buzzword to confuse laymen? What are non-proprietary systems – and if such a thing exists, why should we consider using them? (especially of computer hardware or software) conforming to standards that are in the public domain or are widely licensed, and so not restricted to one manufacturer. not registered or protected as a trademark or brand name; generic. Basically and in practical terms as it relates to entertainment and control systems, it essentially means using standard computer hardware systems that can be obtained from more than one supplier, so that in case of failure these parts can be replaced without being dependent on a very specific part from a very specific manufacturer. Using non-proprietary equipment helps if you have an equipment problem – there are usually no problems with 6+ week delays on trying to get a new unit. By making sure that you select components from a commonly used source with regular upgrade paths, you can provide a good level of future-proofing. If you compare this to using specialized equipment that can only be purchased from one specific manufacturer, such as show controllers or other similar equipment, then you are dependent on that manufacturer for maintenance and upgrades, and you have to hope that that part will still be available in 5, 10 or even 15 years time. With non-proprietary and very commonly available equipment, that problem is usually a lot more manageable. There are of course exceptions, with manufacturers who will continue to support equipment 10-15 years after they stopped selling it, but it is rare, so keeping extensive spares should be an essential part of your long term strategy for keeping your system alive. Mad Systems has specialized in non-proprietary systems more or less since the company was first started. From providing video to generating audio, from show control to other special functions, using a PC means that there is always an upgrade path. Software doesn’t wear out – but hardware can and will. A hard disk failure? No problem, you’ll be able to get another one, and the format will just be that used by ’normal’ computers. Complete computer failure? You’re unlikely to be somewhere where you can’t lay your hands on a PC in a hurry. Spares? By using one or two computer types and configurations, it’s easy to keep spares without breaking the bank – the basic computer hardware can be common throughout the venue. Need someone to understand some of the functionality of the system? By basing your system on PC like hardware wherever reasonably possible, you’ll usually be able to find someone local who will be able to understand what is going on. Even if we use our remote log-in facility to have a look at the system and talk to the tech on site, at least the level of ‘magic’ is manageable. PCs are not that scary – you are, after all, already using a PC of some sort while reading this and quite familiar with at least the basic functionality. There are always cases where the ’non-proprietary’ approach needs to be changed or enhanced. A good example is where safety critical systems such as ride or motion base controllers are concerned. It is essential that we all always remember that we’re playing with other people and other people’s kids – and safety is and had better be the #1 never-to-be-broken rule in our lives. It is imperative that where life safety critical installations are involved, a second heavy duty industrial rated safety system is implemented, and that should not ever be based on PC equipment: considering that the average number of lines that goes into a Windows or OS based operating system is now well into the millions, if not tens of millions, the likelihood of there being a bug in there somewhere has moved from the ‘possibly’ realm far into the ‘we are absolutely certain’ area. For ‘normal’ operations this is not an issue, and it is manageable – but for safety control interfaces for motion rides and similar applications other methods and tools need to be used that override the PC that would be used to actually program and control the ride itself. A PLC (Programmable Logic Controller) based solution would be incorporated in the system that, should anything go awry, will override the computer and make sure the ride is safely discontinued. Using a PLC from a major manufacturer is a good option – yes, it is proprietary, but it could always relatively easily be replaced with another model if it became necessary to do so. Other tools that still are in the ‘custom’ and ‘proprietary’ areas involve devices such as Digital Signal Processors. Ultimately, however, they tend to be easier to replace than show controllers should there ever be a need. For most of an average AV system, the ubiquitous PC is definitely the best tool to make sure that the system, once handed over, is easy to maintain by our clients; and that is obviously a primary consideration when designing and implementing AV systems. So: non-proprietary systems are good, and we will continue to recommend them whenever the question comes up.